Square coffee table with a thick solid wood top. 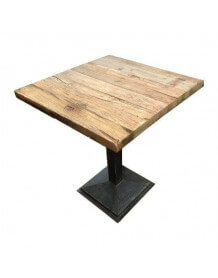 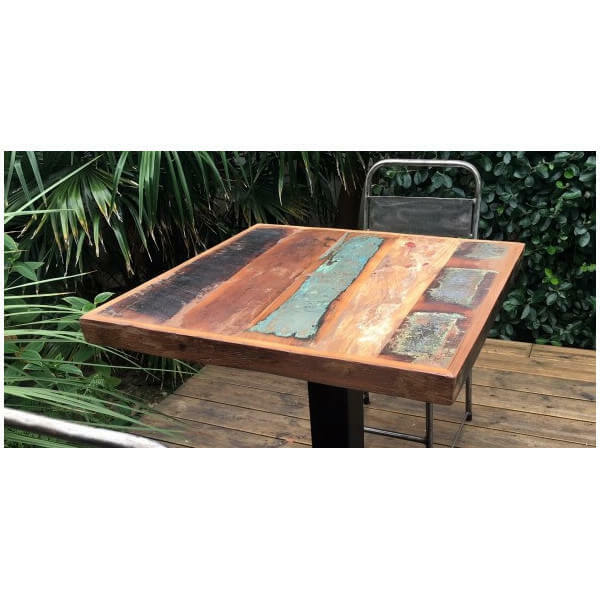 Its central leg is made of steel, the mixture of materials and its wooden top give it a vintage industrial look. 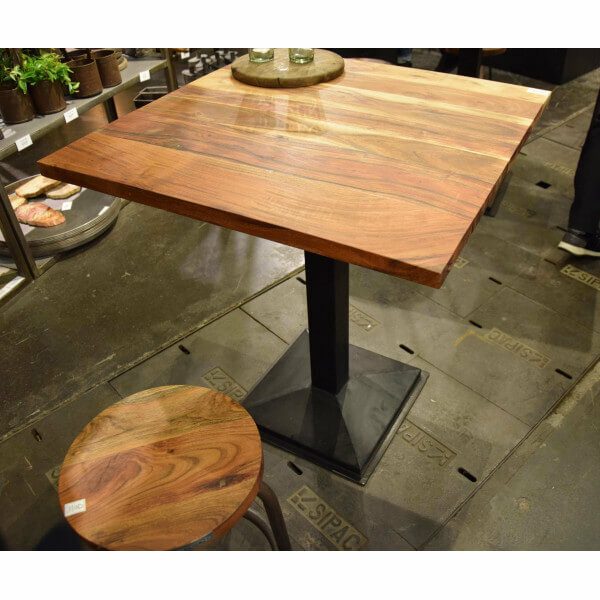 The Bodega table can be used as a side table in a trendy home.